For starters, the brave 11-year-old in this video was OK. He “walked it off,” according to the YouTube video description. So with that in mind, feel free to enjoy how funny this fall is. 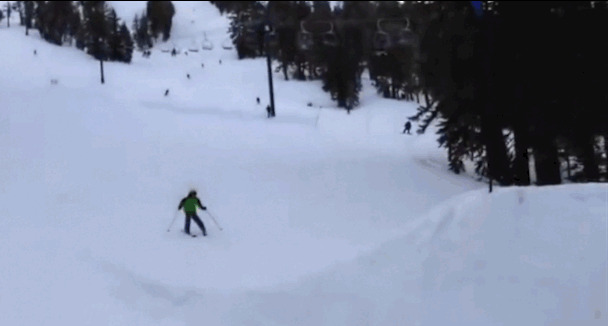 His skis stay perfectly in place while his body flips down the mountain. It was his first ski-jump attempt ever and it took place at Kirkwood Mountain Resort in California. The Big Lead uncovered the video this morning.